They're accused of lifting concepts from a 2012 short film. 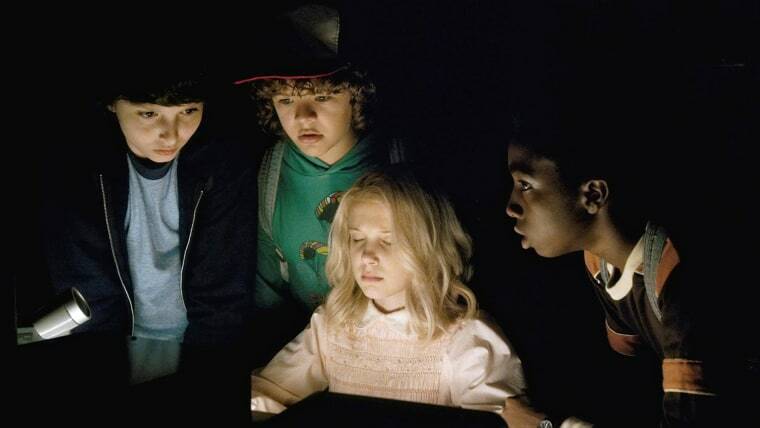 "Stranger Things," the hit sci-fi series on Netflix, pays homage to pop culture of the past, from Steven Spielberg movies and Stephen King novels to Japanese anime and vintage video games. But a filmmaker claims the co-creators of the show flat-out stole his ideas, and now he is taking his complaints to court. Charlie Kessler filed a lawsuit Monday in which he alleges the creative duo behind "Stranger Things," brothers Matt and Ross Duffer, lifted concepts from his 2012 short film "Montauk" and a feature film script called "The Montauk Project." Kessler claims he met the Duffer brothers at a party at the 2014 Tribeca Film Festival, where they discussed Kessler's "script, ideas, story and film." He claims the Duffers later used "The Montauk Project" as a working title for "Stranger Things." The short film version of "Montauk," as described in the lawsuit, is a sci-fi tale set in the Long Island town of the same name, "the location of various urban legends, and paranormal and conspiracy theories." The storyline involves a missing boy and a government-run laboratory conducting experiments on kids. "Stranger Things," one of the most popular original series on Netflix, centers on a group of kids in Indiana who get mixed up in paranormal activity and government conspiracies. The first season focuses on the search for a missing boy. In a statement, a lawyer for the Duffers dismissed Kessler's claim as "completely meritless." "He had no connection to the creation or development of ‘Stranger Things.’ The Duffer Brothers have neither seen Mr. Kessler’s short film nor discussed any project with him. This is just an attempt to profit from other people’s creativity and hard work,” said the attorney, Alex Kohner. Kessler, who claims he was unaware "Stranger Things" allegedly stole his ideas until the first season premiered in July 2016, is suing for breach of implied contract. He is seeking unspecified monetary damages.